Home addiction Cafe Cafe World computer game Facebook Facebook Games online game play playing restaurant Resto Rocky Cafe Rockz Cafe social networking site virtual game network Welcome to the 'Rockz Cafe'! 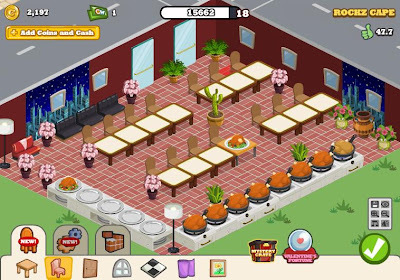 Right now, I am owning a restaurant! This is called the Rockz Cafe following my name. And it's getting bigger and bigger! Of course, just like we always do, I will let you come and visit it! Hahaha! Yeah, just like many of us, I really get addicted! I am now a certified addict...addict...a certified Cafe World Addict! And here's what I got, my own restaurant or a cafe bar! Are you ready? 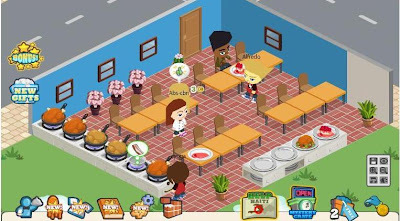 Allow me to tour you to my own cafe in the Facebook's Cafe World Game! I Started to Renovate My Cafe as My Income Increases! At first, I have no interest with this Facebook's game. 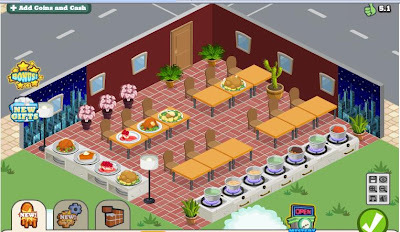 I was then addicted to its other application like the Farmville and the Fishville. I even ignore my friends inviting me to be their neighbors. But due to curiosity, I tried it! Then afterwards, I doesn't even care to it! I still focus myself in Farmville and Fishville! My brother was the first one who got addict with this! He even showed me how his cafe grows! Hmmm...I tried playing it again once...then twice...then thrice...then up to the nth time 'till now! Slowly, I realized myself getting addict with this! And now, this is my favorite Facebook game! It now surpassed my Farmville and Fishville addiction! It Grows... It Grows as Time Passes By! This is Now My Current Cafe which Attracts More and More Customers! I named my own cafe as the "Rockz Cafe"! It started as a small plain cafe having few things and no design at all! Then as I cook more and more foods, deserts, burgers, or other menus, I earned more and more money! My game level eventually increases! 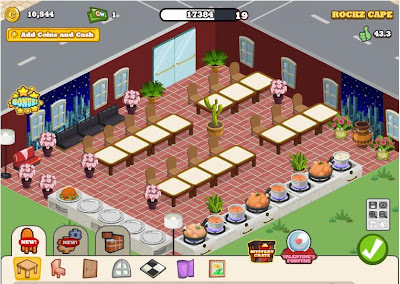 As my level increases and as I earn more and more money, I was then able to buy more things and properties which I can use to design my own resto. I can then expand my place! 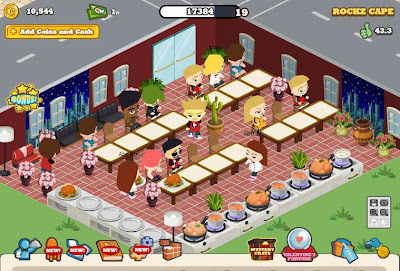 Actually its my third time to expand my cafe! From the pictures above see how my cafe world evolves from a small plain stall to a red attractive resto now! Sorry, I wasn't able t provide you with my very first cafe resto since at first I didn't like it! The blue one that I have above was I think my second or third level! Initially, I have only two tables, two stoves, two counters, and a brown plain floor! Well, what can you say? Don't worry, this is not only once! Later, when my cafe transforms to a new one, I will let you see it! Yeah, this is only my first part! Later, I will share you more! What are the specialties in your newly-opened cafe? Which of these is your favorite?